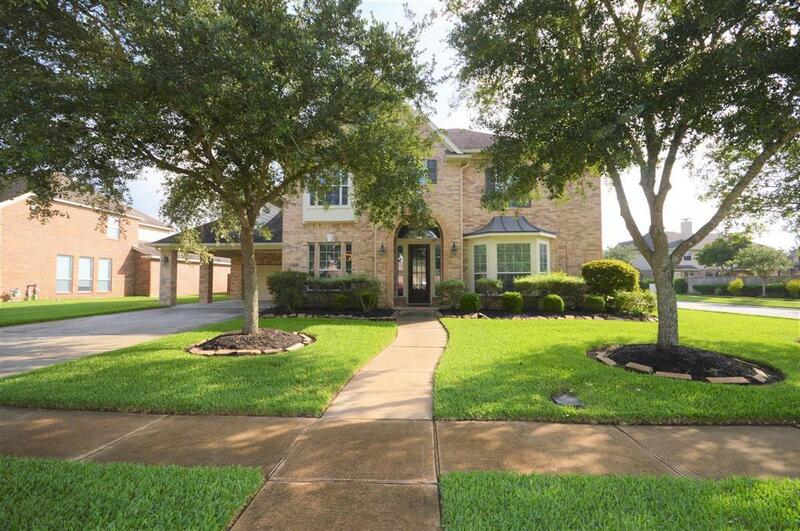 Beautifully appointed 5 Bedroom home on corner lot in Friendswood's popular West Ranch. 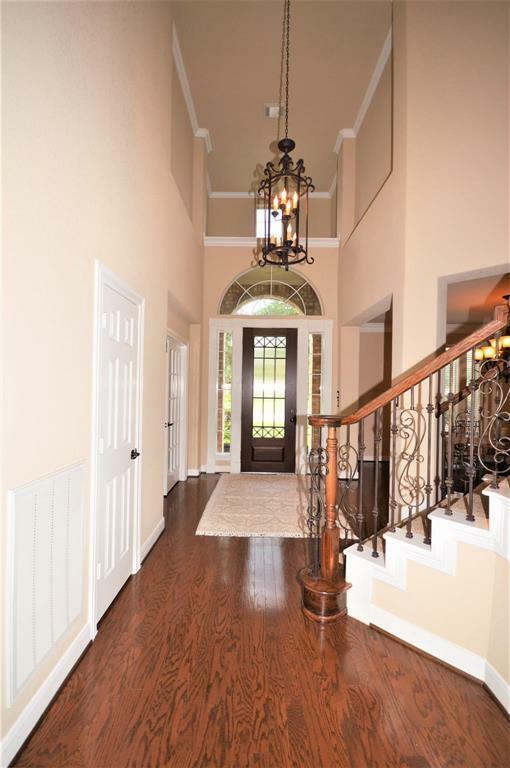 Elegant Entry has Hardwood Flooring which extends in a continuous flow throughout downstairs. 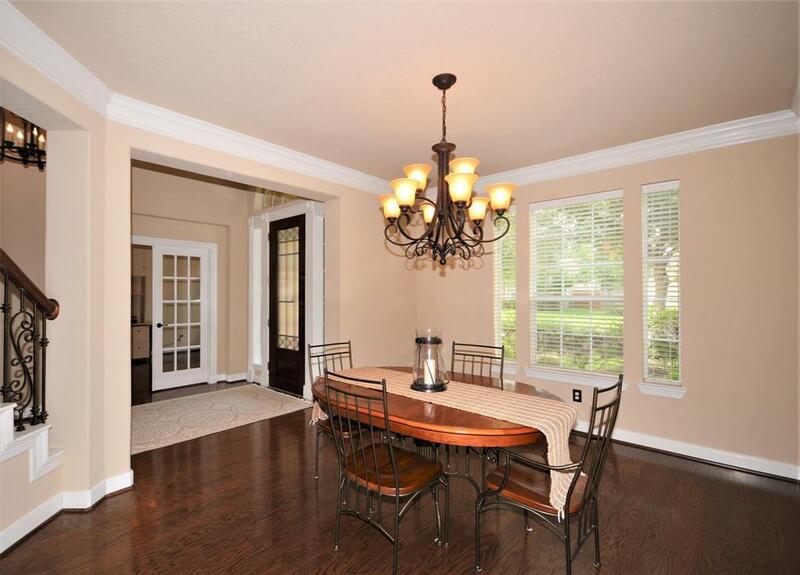 Lovely Dining Room with Crown Molding and large windows. Across the wide hallway is the Study/Library with French Doors and wall of Custom Floor-To-Ceiling Built-Ins. Family Room with Stone Surround Fireplace, Glass Front Custom Built-Ins and Picturesque Windows is a lofty two stories. Gourmet Kitchen is heart of the home lovely with Granite Counters and Tumbled Tile Backsplash. Stainless Steel Double Ovens and Cherry Cabinets complete this beautiful Kitchen. Master Bedroom with attached Sitting Room expands your Suite experience. Master Bath is spa like with Jetted Tub, large Shower, Granite Counters and His and Her Closets. 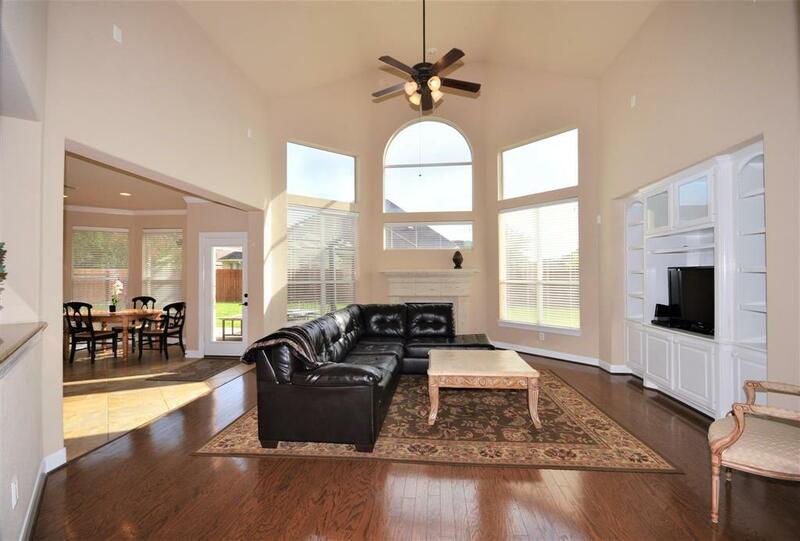 Up the wrought iron stairs, 4 more Large Bedrooms, 2 Full Baths and Huge Gameroom. Outside, you will enjoy this 11,506 sq ft Corner Lot! No Flooding. FISD Exemplary Schools.